Editor’s note: Jesus didn’t tell us that we might have trouble, could go through heartbreak, and should be shocked if we ever surprisingly endure sudden loss and bereavement. He told us that in this world we will have trouble. Because of that, even as Christians, we experience grief and sadness. If you’re there today, you are not alone. Jesus is with you. 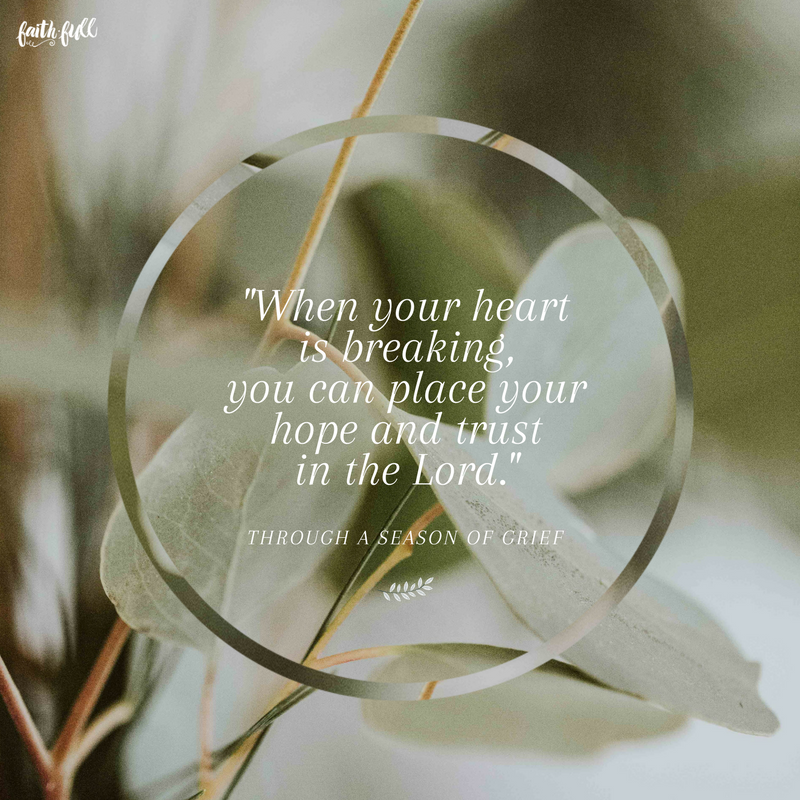 We pray that this excerpt from Through a Season of Grief gives you comfort and hope. Sovereign God, I choose hope. I choose faith. I choose life. Give me an unshakable faith in You. Amen. Grief’s unexpected turns will throw you again and again. You may feel that for every step forward, you take at least one step back. The grieving process generally takes longer than you ever imagined. Please don’t rush this process. Remember, what you are feeling is not only normal, it is necessary. Heavenly God, I cannot even begin to put my grief in a time frame. Thank you that I don’t have to. Comfort me and support me as I lean on You. Amen. Come to Me, you who are tired and overburdened, and I will give you rest. Excerpted with permission from Through a Season of Grief by Bill Dunn and Kathy Leonard, copyright The Church Initiative, Inc.